Today we’ll be comparing two luxury hybrid models again, this time both coming from the same mattress retailer – Brentwood Home. Brentwood Home sells high-quality mattresses, bedding and home essentials, all handcrafted at its manufacturing facility in Los Angeles/ The company focuses largely on sourcing the most natural materials for its products such as New Zealand wool and natural latex. 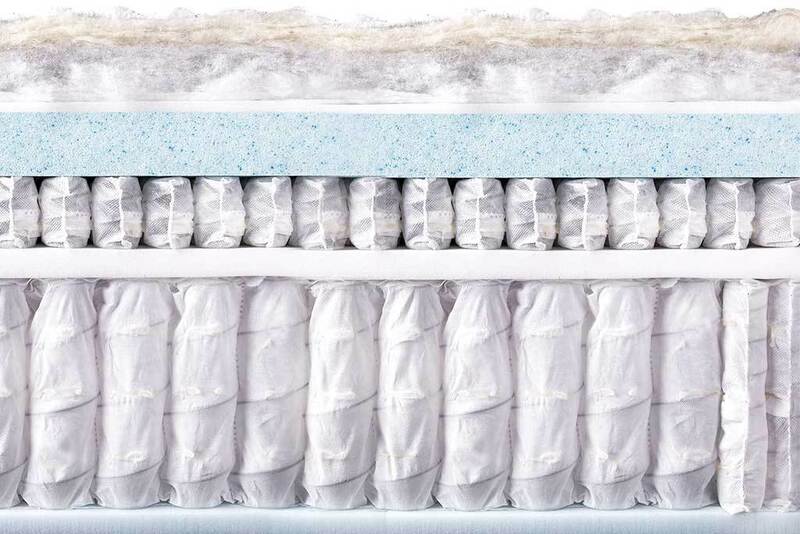 This mattress does not retain heat due to its multiple layers of gel memory foam, micro coils, ventilated Airlux foam and Tencel top cover, so you won’t get the sticky sweaty feeling that some foam mattresses cause. The hybrid design of this mattress that allows the air to circulate freely through it and will keep you cool and comfortable. The Cedar mattress like the Ocean comes in only one firmness option, which is medium firm and it scores 6-7 out of 10, with 10 being the firmest. The micro coil construction and the latex in the top layers of this mattress provide more response and push back than foam mattresses and give you the feeling of “floating on top of” the mattress, combined with the bouncier feeling of the supportive pocketed coil springs. Like the other Brentwood Home mattress, The Cedar mattress does a good job at sleeping cool due to its specific construction. 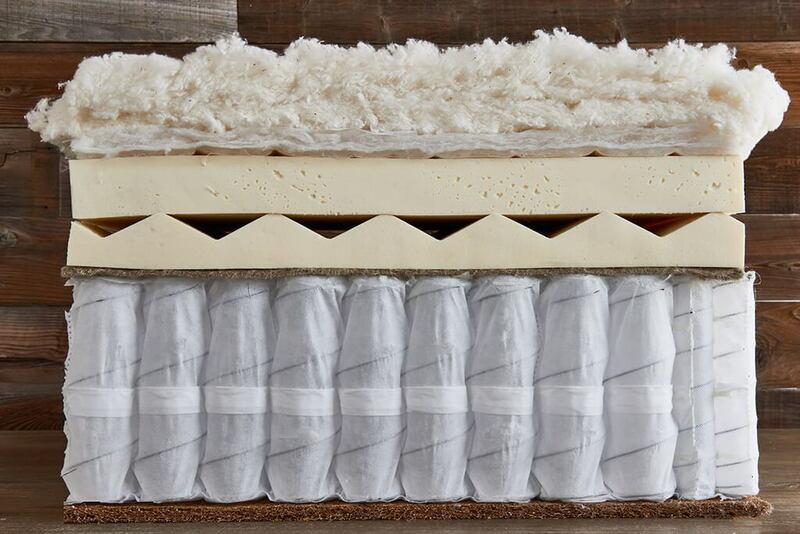 You will not get the sticky sweaty feeling that some mattresses cause as the natural materials and micro coil system used in the construction of this mattress allow excellent airflow and prevent the build-up of heat. Edge support in this mattress is good too, as the edges do not compress when sitting or lying near them and there is no feeling of “rolling off” the edge. Its 13″ thick construction prevents the heavier sleepers like Andrew to sink to the foundation when sitting on the edge. Below is our comprehensive side-by-side comparison of the Brentwood Home Oceano vs. Brentwood Home Cedar mattress.